Your stock notification has been received. Please check email address format. Part of our Corporate Gifts program, this Charcuterie Sampler features three of our signature ready-to-eat dry-cured sausages; the perfect foundation for any charcuterie plate. 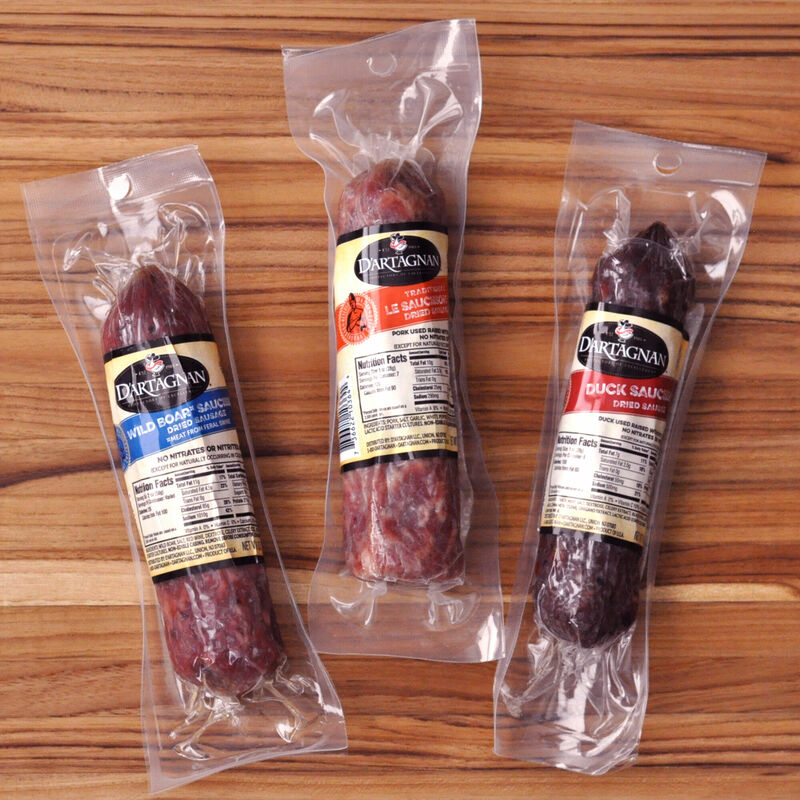 With wild boar, pork and duck saucisson sec, it’s a tasty treat for friends, family, and foodies. Conveniently packaged in a D'Artagnan gift box along with a brochure offering full instructions and tips for enjoying these classic charcuterie items. From charcuterie gift boxes packed with bold flavors, to our signature recipe kits -- including the classic cassoulet -- our gifts and samplers are carefully curated to make gift giving easy and enjoyable. Offering a taste of D'Artagnan, they not only make wonderful gifts for food lovers, but are also the perfect way for you to experience a variety of our quality products at home.